Stunning, renovated mid-century Mediterranean Style home located minutes from the Fan District just off of Monument Ave! This home features 2780 sq ft, 4 bedrooms, 2.5 baths & a great fenced in backyard w/ a large deck & a finished 20X14 detached building w/ recessed lighting, ceiling fan, & vaulted ceiling making this a great space for a music room, man cave, or she shed! The main level is bright & open & showcases a living room w/ a fireplace as you enter & an arched doorway leading you into the formal dining room. A first floor bedroom could be used as an office space & has a vaulted ceiling & ceiling fan. The kitchen has been gorgeously updated w/ quartz countertops, recessed lights, arabesque tile backsplash, & a breakfast bar with pendant lights. Spacious family room off the kitchen has wood flooring, ceiling fan, & an exterior door leading out to the side deck. Upstairs the master suite has a walk-in closet with custom shelving, & full bath w/ tile flooring & subway tile shower. Additional 2 bedrooms showcase hardwood floors, crown molding, ceiling fans, & built ins. Great location within walking distance of the well known Stella’s Greek Bistro! Please, send me more information on this property: MLS# 1910885 – $659,900 – 3909 Wythe Avenue, Richmond, VA 23221. 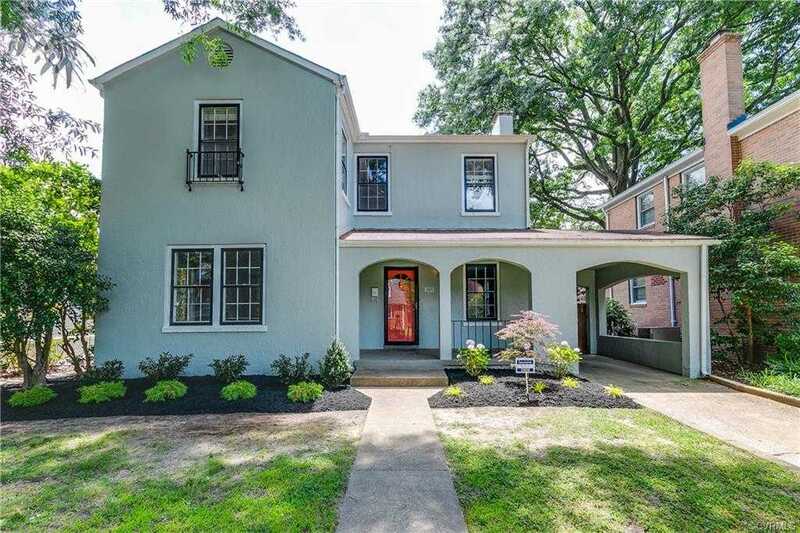 I would like to schedule a showing appointment for this property: MLS# 1910885 – $659,900 – 3909 Wythe Avenue, Richmond, VA 23221.